I hope you’ve noticed there’s a little extra money in your wallet these days — I was relieved to hear the good news that Oklahoma’s gas prices have fallen after last week’s rise. Right now, they’re actually at their lowest price in more than a decade. Can you believe it? There are a lot of implications behind the dramatic fall in gas prices, many that affect a lot of folks around here. But there’s no way around the fact that we’re saving a lot of money on gas this year. That makes it easier to invest in things we might not have felt like we were able to afford in the past — like our smiles. If you’re missing one or more teeth and are interested in finding a solution, now is the time. 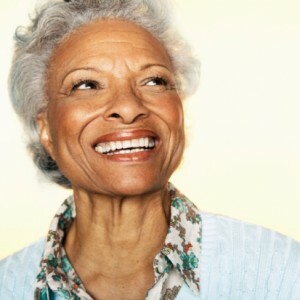 Dental implants are an excellent option for restoring your smile, permanently. And CCCD is your one-stop shop for dental implants at the best pricing around. Read on to learn more about this exciting option. First of all, dental implants aren’t what they used to be. What was a painful, complicated, expensive process just a few decades ago has become a relatively easy and affordable option, with proven results that last. Dental implants work by using tiny titanium posts that your dentist surgically implants into your jaw bone. After the initial procedure, your existing bone is given time to grow around the implants to ossify and create a stable, sturdy base for your replacement teeth. The result is a full set of teeth that allow you to brush, speak and eat without the worry of missing teeth or ill-fitting oral devices. If you’re interested in improving your smile and don’t want to go through the hassle of caring for removable bridges or dentures, chances are dental implants are an excellent option for your mouth. To see if you’re a good candidate, we’ll examine your mouth to ensure there’s enough existing jaw bone to accept the dental implants. If there is, we can begin discussing your unique treatment plan immediately. But Aren’t Dental Implants Expensive? Dental implants do come at a sizeable cost — but like any good investment you make, they’re worth it. Also, when you consider that dental implants, when properly cared for, can last up to a lifetime versus other options (like bridges over existing teeth) which will likely need to be replaced, you’ll see that dental implants truly are the smartest choice. And now, at Complete Cosmetic Care Dentistry in Tulsa, dental implants are more affordable than ever. In fact, they start as low as $2,400 at our office. If you’re missing one or more teeth and think that dental implants might be the right choice for you, make an appointment today to talk about your options. With great pricing options at a dentist you trust, it’s a better time than ever to fix your smile.